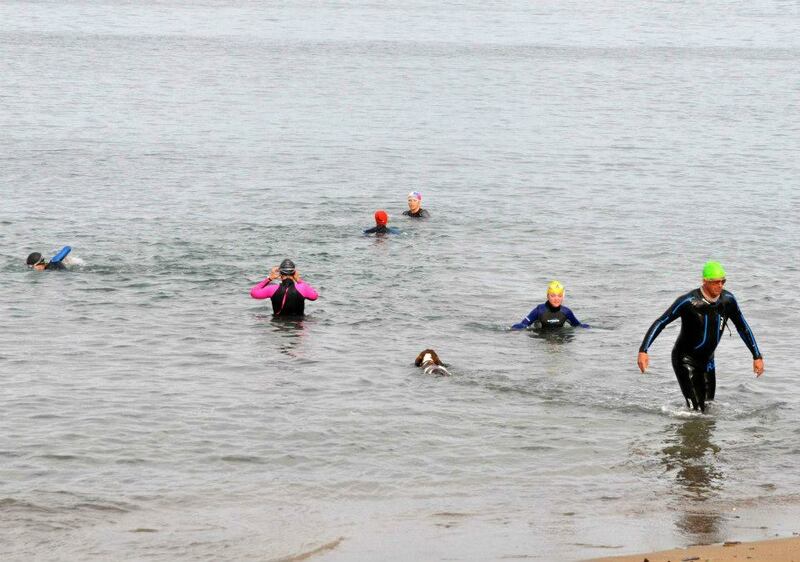 Maeve Mulcahy completed a fantastic three hours in under 12C water yesterday. She went in at 4.10 with Anne Marie – who did a full two hours – and was also joined at various stages for company by Roisin Lewis, Joanne Conroy, Bernard Lynch, Carol Cashell and others. 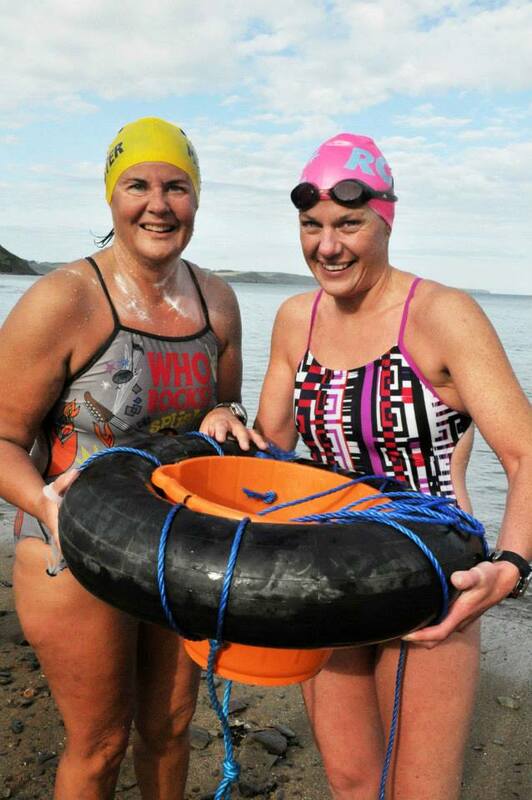 She also had the fast-becoming-famous bucket deployed for feeds…. Maeve, Carol & Bernard’s Bucket. Back from the States and straight in to grab the bucket – Liam Maher. Ah, Liam….. 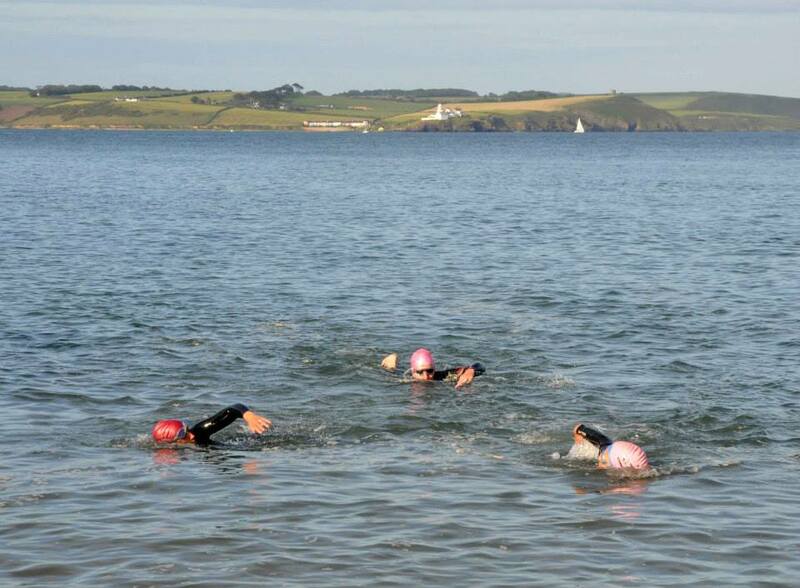 The regular Monday night swim at 6pm was going on around Maeve’s long one. 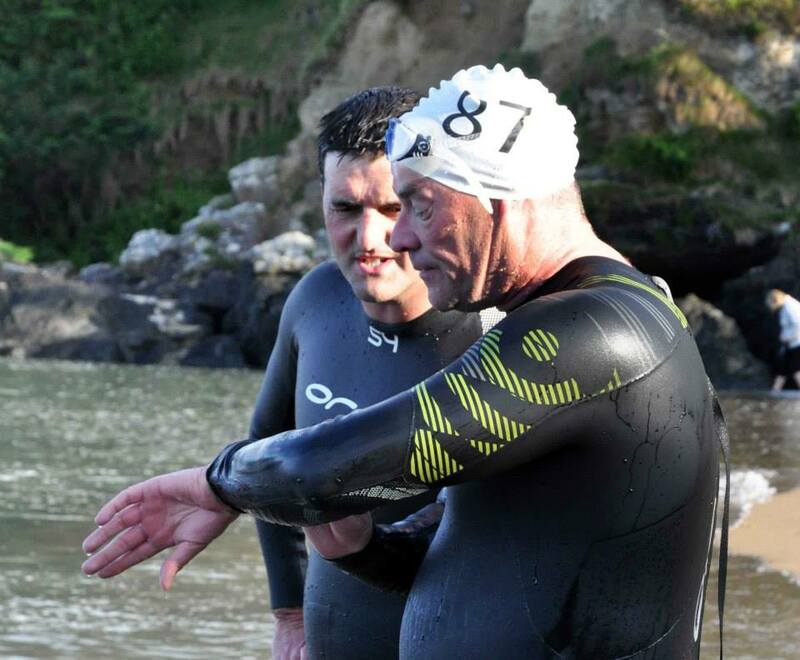 It’s hard to keep up with the numbers at this stage, with waves of swimmers going in from 6.00pm on. Great to see. I’m telling you, that’s the fastest lap of the Dutchman – EVER. Tim Smyth checks the time. 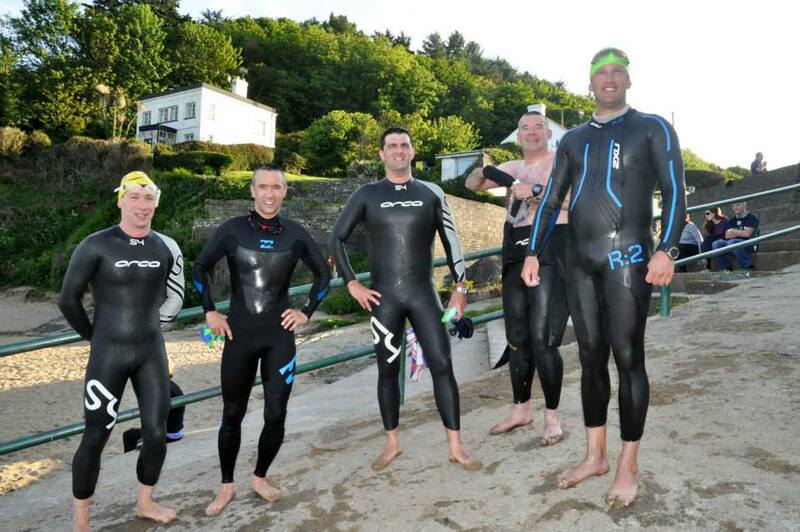 Another Monday night swim done in Myrtleville. 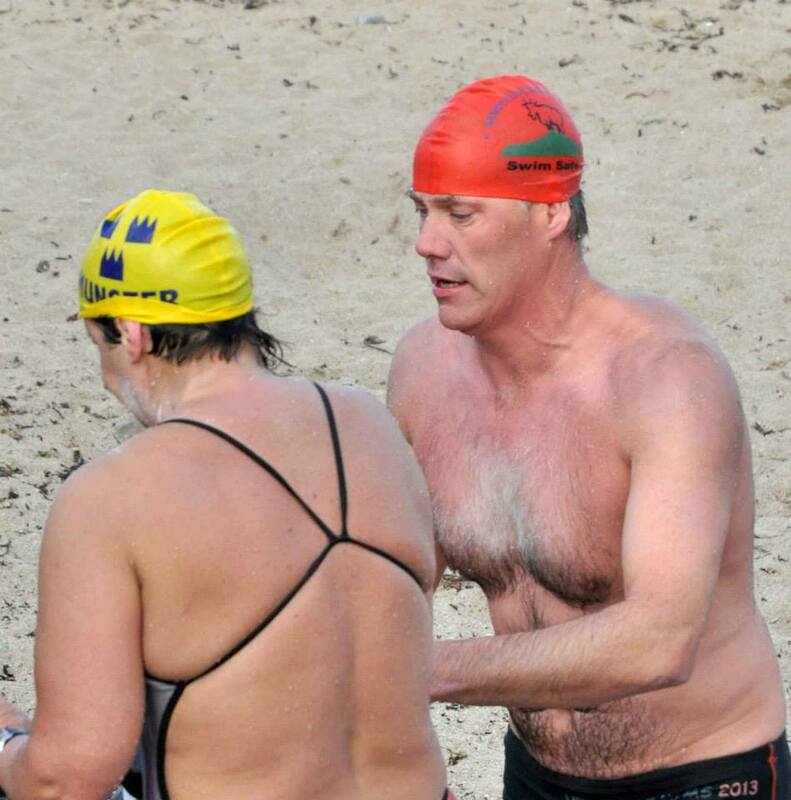 This entry was posted in Information and tagged Marathon Swimming, Open water swimming - Cork, Open water swimming - Cork - Ireland, Sea swimming - Cork, Sea Swimming - Cork - Ireland, Triathlon by myrtlevilleswimmers. Bookmark the permalink.